Improving the National educational grade requires coaching Physical Literacy, or Physical Academics Curriculum Training (PACT), golf fundamentals. This type of training will allow educators to address the physical and academic needs of the students, while developing critical problem-solving skills. Students will need to develop independent critical thinking, creative, and competitive thinking skills that will be essential in future careers. It is predicted that eighty (80) percent of future careers do not presently exist today. This will require students to become innovators. This will place demands on the education system and will require the educational systems to adapt to the industry needs more quickly, especially in the areas of psychology, as well as, vocational technology areas. This will require the student to have a high level of cognitive skills of being able to concentrate, comprehend, perceive, and process information without distractions. The student will need to exhibit self-confidence, self-coaching, initiative, and be resourceful, while exhibiting social and motivational skills. There is no signal activity that can provide Cognitive Behavior Training, independent thinking, and motivational skills than athletics, Physical Literacy, activities in general, and golf specifically. In order to enhance the students’ concentration, comprehension, organizational and motivation skills, the student will need to develop psychologically, as well as physiologically. Studies prove that physical activity following a learning session improves the student’s retention rate by 70 percent, compared with students who have no physical activity after a learning session. This also has to do with what is referred to as Circadian Rhythm. Circadian Rhythm is a learning process called episodic memory, or Context-Based Learning. Context-Based Learning, or Apperception, uses a collection of prior experiences and applies these in short intervals of time to learn new skills. Research done by Dale Edgar, researcher and educator, indicates that effective learning and retention of information will increase with three factors. First– self-coaching or independent learning process, called apperception; second– when there is an immediate application of knowledge; and third– where sessions are spread out over short intervals of time with a blend of physical activity, called incremental learning. This is the reason that a person who walks or engages in other physical activities, such as golf, has a better retention rate. One of the best athletic or physical activities that can be incorporated into a student’s curriculum is basic golf fundamentals. While golf is thought to be a physical engagement, it is mainly played between the ears, as noted by Robert Trent Jones, Sr. To be a good golfer, the student of the game golf has to know their ABC’s of physiology. Golf requires the golfer to have Agility, Balance, Coordination, and Speed; these are the bases of the principle of physical literacy, or PACT. When I mention balance, I’m not referring to physical balance alone, but mental and emotional balance, as well. This requires the golfer to concentrate, think, and perform under pressure with positive reinforcing results. Golf fundamentals are essentially applied physics and mathematics to a real life situation, like golf. Golf is basically physics applied on a golf course. While golf fundamentals are demanding, they provide the most mental satisfaction and exercise that a student of the game can have for a lifetime, especially if the golfer walks the course, like I do. 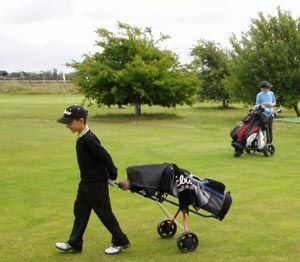 Golf is ideal for schools and a home-school setting. Golf fundamentals don’t require assembling a team in order to participate. The golfer can participate either on an individual level or on a team level. This is what makes it ideal for home-school settings. The major benefit of golf fundamentals is that it requires the student to develop muscle memory, which is a subconscious mind function. When one thinks about the human mind and how it retains and process information and performs, one has to compare the human mind to a iceberg. The observer only sees 10 percent of the iceberg. The other 90 percent is under the waterline. All the person knowledge and long-term memory is contained in the subconscious mind and unconscious mind. This information can only be stored in these two regions by apperception, or association, repetition, sequence of elements, and current use. One can improve the influence of the subconscious mind in their day activities, such as the golfer’s game. When the golfer can use muscle memory and follow a sequence, they can dramatically increase the influence of their subconscious mind. 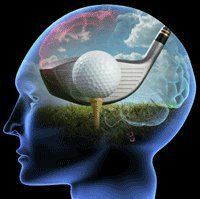 The Subconscious mind is where a golfer’s muscle memory and basic motor skills are stored and processed. The advantage of using the subconscious mind is that the subconscious mind can’t differentiate between virtual and actual experiences. 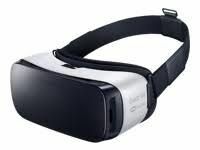 Just look at the television ads for the Galaxy s7’s Virtual Reality Headset. This headset directly engages the subconscious mind to convince the person they are in a different situation. The person wearing the headset is actually experiencing what they are viewing. The benefits of including golf fundamentals into a curriculum are the physical and psychological development of the student’s ABC’s. The subconscious mind works 24/7, processing and assembling new information and determining how this information fits into existing knowledge and how to work more efficiently. This even applies to a person sleep stage. You don’t have to spend consecutive hours practicing your golf game or take three to four hours to play a round of golf to see improvement in your golf game. 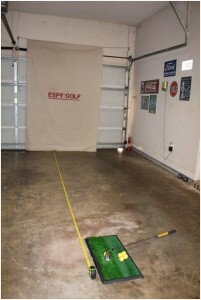 The best approach, especially in a home-school, an office, or a work station setting is to take six- 10- minute sessions during the course of the day, either to swing a golf baton or make short chip and pitch shots, either in a home training gym, garage (as shown above), or outdoors. The same feel of Syncing (CAMMING) and Presetting (CAMMING-OVER) the elbows and wrists for either a chip or pitch shot is the very same Sync and Preset used for the regular golf swing in the ESPY Golf Swing APP. This practice session could come after an academic session (e.g., Math, English, or Science) to provide physical activity to boost the student’s retention rate in these or other subjects, as studies have shown in the first part of this article. In addition to the six- 10- minute sessions, the student can use the 405- Training Drill, where the student can set up a one-third scaled version of a par-4 in the backyard or a vacant field. 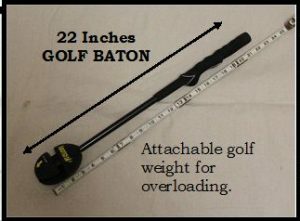 This can be done by using some special golf balls called AlmostGolf Balls, (shown below), or other type of practice ball with two five- gallon buckets for a 20- foot target areas. This provides a scrimmage-type football practice that will simulate course conditions for the student. If you want your kids to have the best opportunity for a prosperous future where they can realize their full potential, place a golf club into their hands. 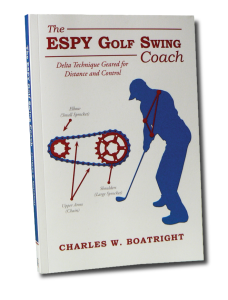 And instill a desire for knowledge on how to use their golf fundamentals, on and off the course. They will thank you for it. Golf can open a multitude of doors for students and employees in other fields than golf. Golf is the best advertisement not just for your product or idea, but for yourself. Believe me, if you have a single-digit handicap, people will want to know you.